Four different weathered and decaying plaster walls with bricks exposed. 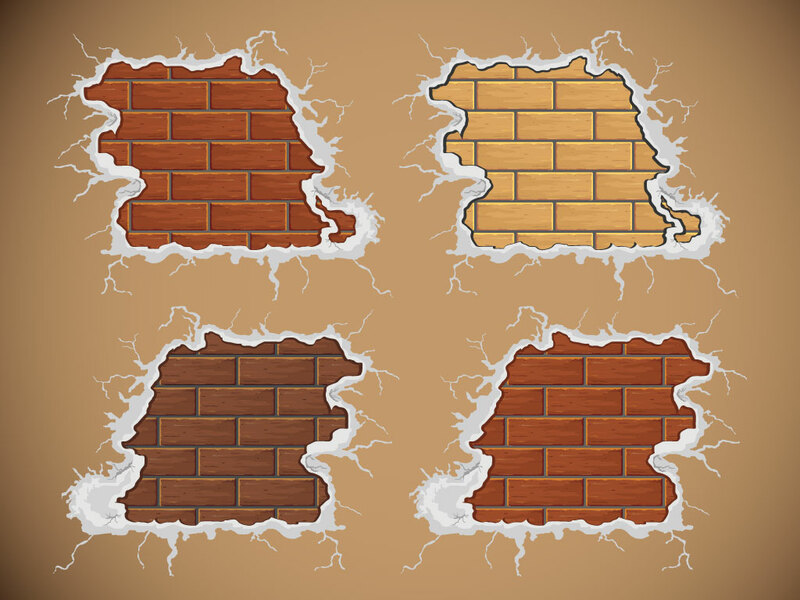 Cool ages and deteriorating graphics for your designs. Put together cool wall scenes or add a vintage or aged look to one of your original designs. Download as AI and PDF for your convenience. Tags: Aged, Brick, Crack, Damaged, Decay, Fragment, Old, Plaster.